Muhammad Ali was one of the 20th century’s most fantastic and famous figures. Jonathan Eig radically reshapes our understanding of the complicated man. Eig, who had access to key people in Ali’s life, including his three surviving wives and his managers, conducted over 500 interviews and uncovered previously unreleased FBI and Justice Department files. He sheds important new light on Ali’s politics, religion, personal life and neurological condition, illustrating a story about America, race, a brutal sport and a courageous man who shook up the world. But there was much more to Thoreau than his brief experiment in living at Walden Pond. A member of the vibrant intellectual circle centered on his neighbor Ralph Waldo Emerson, he was also an ardent naturalist, a manual laborer and inventor, a radical political activist, and more. Laura Dassow Walls talks with Dr. Saltz about Thoreau’s quixotic, mischievous and many-sided nature. From the young man shattered by the sudden death of his brother to his death in 1862, at only forty-four years of age, meet the complex the man whose belief in human freedom and the value of labor made him an uncompromising abolitionist and the solitary walker who found society in nature. In his time, Ulysses S. Grant was routinely grouped with George Washington and Abraham Lincoln in the “Trinity of Great American Leaders.” But the battlefield commander–turned–commander-in-chief fell out of favor in the twentieth century. In American Ulysses, author Ronald C. White argues that we need to once more revise our estimates of him in the twenty-first. Come hear about White’s seven years of research with primary documents — some of them never examined by previous Grant scholars — and the assemblage of the Grant biography of our time. Pulitzer Prize-winning author William Taubman talks with Dr. Gail Saltz about the life and times of Mikhail Gorbachev — how the peasant boy became the Soviet system’s gravedigger; how he clambered to the top of a system designed to keep people like him down; how he found common ground with America’s arch-conservative president Ronald Reagan, and how he permitted the USSR and its East European empire to break apart without using force to preserve them. Georgia O’Keeffe’s vivid visual vocabulary — her sensuous flowers, bleached bones against red sky and earth — had a stunning, profound and lasting influence on American art in this century, but her personal mystique is as intriguing and enduring as her bold, brilliant canvases. Dr. Saltz sits with Laurie Lisle, author of Portrait of an Artist: A Biography of Georgia O’Keeffe, to discuss the legend’s exceptional life. Diane Arbus was one of the most influential and important photographers of the twentieth century – a visionary who revolutionized photography and altered the course of contemporary art with her striking, now iconic images. It is impossible to understand the transfixing power of Arbus’s photographs without understanding her life story. Dr. Gail Saltz talks with Arthur Lubow, whose biography of Arbus, Diane Arbus: Portrait of a Photographer, brings to life a strong-minded child of unnerving originality who grew into a formidable artist and forged an intimacy with her subjects that has inspired generations of artists. Lubow has conducted exclusive interviews with Arbus’s friends, lovers and colleagues, and read previously unknown letters, and he brings his own profound critical understanding of photography, to explore Arbus’s unique perspective. John Quincy Adams was the last of his kind — a Puritan from the age of the Founders who despised party and compromise, yet dedicated himself to politics and government — and literally died in office, in the midst of a passionate debate. A brilliant ambassador and secretary of state, he was a frustrated president at a historic turning point in American politics. Dr. Gail Saltz talks with scholar and journalist James Traub, author of John Quincy Adams: Militant Spirit, to uncover the life and morals of a diplomat and president whose ideas remain with us today. The biblical story of the world’s creation builds rest and reflection into the very architecture of existence. As human beings created in God’s image, we, too, set aside the 7th day each week to connect with the divine, and to rediscover the divine spark within ourselves—to tap into the creative power we have been imbued with to transform our lives and to change the world. By liberating us from our daily routine, and giving us the freedom to focus on what matters most, the Shabbat is a day to develop the capacity for genius that twentieth century philosopher and theologian Martin Buber attributed to spiritual trailblazers, like Moses and Maimonides, “to unite the way of earth with that of heaven.” Join Rabbi Jen E. Krause in conversation with relationship & communications expert Esther Perel, best-selling author & entrepreneur Michael Ellsberg, and author, psychiatrist and “Today Show” contributor Gail Saltz as we explore the spiritual genius that dwells within us all. 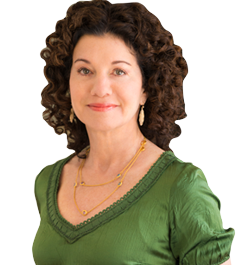 Psychiatrist, psychoanalyst, columnist and best-selling author and television commentator Dr. Gail Saltz moderates this new series: A look inside the minds of larger-than-life figures of the 20th century, examining the psychological factors that shaped them. How does looking at Theodore Roosevelt’s relationship with his favorite son, Quentin, help us understand Roosevelt’s genius? Eric Burns, former NBC News and “Today” show correspondent, discusses insights from his new book, The Golden Lad, with Gail Saltz. Despite all of Roosevelt’s myriad accomplishments, the cause Roosevelt championed the hardest—America’s entry into WWI—was the one that divided and tormented him. Through the lens of his relationship with his son, we’ll gain deeper insights into the mind and motivations of one of America’s great geniuses. Frank Sinatra left an enduring legacy that is still treasured by legions of fans today. The acclaimed poet and critic David Lehman discusses the man, his music and his larger-than-life story with psychologist Gail Saltz, and shares insights from his new book, Sinatra’s Century: One Hundred Notes on the Man and His World. Johannes Brahms is one of history’s most influential composers. But there’s a little-known side to Brahms: the boy who played piano in beer halls among prostitutes and drunken sailors, the fiercely self-protective man who thwarted future biographers by burning papers, scores and notebooks late in his life. Renowned music composer and author Jan Swafford offers richly expanded perspectives. Sigmund Freud: He was the founding father of psychoanalysis, the basis for all talk therapies. But what about the mind of the man himself? Who was Sigmund Freud? What enabled him to create an entirely new field of thought? And what psychological problems did the man himself suffer? A look at the mind and life of the man who gave us “study of the mind”. George Makari, M.D., is director of the DeWitt Wallace Institute for the History of Psychiatry, professor of psychiatry at Weill Medical College of Cornell University, professor of psychiatry at Rockefeller University, and a faculty member of Columbia University’s Psychoanalytic Center. He is the author of Revolution in Mind: The Creation of Psychoanalysis. The Lincolns: Abraham and Mary Todd Lincoln, The 16th president of the United States and his first lady had a tumultuous yet vital relationship. Both struggled with mental health problems and terrible loss. We will explore the psychological influences that effected President and Mrs. Lincoln as he led the United States through its greatest constitutional, military and moral crises- the Civil War. What motivated Lincoln to preserve the Union while ending slavery and promoting economic and financial modernization and what of the role of Mary Todd? Catherine Clinton came to Queen’s in 2006, having previously taught at Union College, Brandeis University and at Harvard University — in both the Department of African American Studies and the Department of History. She has recently stepped down from the executive council of the Society of American Historians and continues to serve on the Advisory Committee to the Abraham Lincoln Bicentennial Commission, and her biography, Mrs Lincoln: a life was published in 2009. Her biography of Harriet Tubman was named one of the best non-fiction books of 2004 by the Christian Science Monitor and the Chicago Tribune. She now serves on the Advisory Council of Civil War History, of Ford’s Theatre in Washington DC, and Civil War Times. She is a member of the Advisory Board for the Virginia Sesquicentennial Commission and in 2011, she is the editor of the Penguin Classic, Mary Chestnut’s Diary. Einstein: An exploration of the mind of the man whose name has become synonymous with Genius. The father of modern physics, he struggled in early school years. What strengths led to his multiple discoveries? What weaknesses did he have to overcome both professionally and personally? Astrophysicist Michael Shara PhD is curator and chair of the Department of Astrophysics at the American Museum of Natural History. His research interests include the structure and evolution of novae and supernovae, collisions between stars, and the nature of stellar populations in star clusters and galaxies. He curated the Einstein exhibit at AMNH. Gertje R. Utley, Ph. D.
Gertje R. Utley is an independent scholar in art history. She is the author of Picasso: the Communist Years (Yale University Press, 2000), and more recently the co-editor and co-author of A Fine Regard: Essays in Honor of Kirk Varnedoe (Ashgate, 2008), and curator of an exhibition on the influence of Velázquez on contemporary art at the Picasso Museum in Barcelona (Olvidando a Velázquez: Las Meninas, exh. cat., Picasso Museum, Barcelona, Spain, 2008). She has contributed articles on Picasso, Egon Schiele, and on contemporary art to various art books and exhibition catalogues (Picasso and the Spanish Tradition, Yale 1996; Picasso and the War: 1937-1945, exhibition cat. Fine Arts Museum of San Francisco, and Guggenheim Museum, New York, 1998/9; Picasso: War and Peace, Picasso Museum, Barcelona, 2004). One of the most prolific and influential composers of the Classical era, Mozart was a child prodigy who struggled for recognition and control over his own destiny. His father was a hugely influential figure and a source of conflict. Explore the gift and the drive of this masterful composer who died so young. Christoph Wolff is the Adams University Research Professor at Harvard University and teaches at the Juilliard School. He has written extensively on music from the 15th through 20th centuries, especially on Bach and Mozart. He is the author of Mozart at the Gateway to His Fortune: Serving the Emperor, 1788-1791. The son of a Rabbi, Harry Houdini was one of the most famous magicians, illusionists and escape artists in the world. What drove this self-taught man? What was the meaning of disappearing and reappearing? Why was he consumed with debunking the spiritualist movement? Brooke Kamin Rapaport is an independent curator and writer. As guest curator at the Jewish Museum in New York, she organized Houdini: Art and Magic, and The Sculpture of Louise Nevelson: Constructing A Legend. Steven Naifeh and Gregory White Smith, authors of Van Gogh: The Life, graduated from the Harvard Law School in 1977. Mr. Naifeh did his undergraduate work in art history at Princeton and his graduate work in art history at Harvard. Mr. Smith did his graduate work in education at Harvard. The two men have written eighteen books, including five New York Times bestsellers. Their Jackson Pollock: An American Saga won the Pulitzer Prize in 1991. It was also a finalist for the National Book Award, the basis of the Academy-Award winning film Pollock, and the inspiration for John Updike’s novel, Seek My Face. They serve as Chairmen of the Juilliard-in-Aiken Arts Festival. Susan F. Beegel holds a PhD from Yale University and is an Adjunct Associate Professor of English at the University of Idaho. This fall she will celebrate her twentieth year as editor of The Hemingway Review, a scholarly journal on the life and work of Ernest Hemingway. A joint publication of the Hemingway Society and the University of Idaho, the journal circulates to individual scholars and to college, university, and public libraries around the world. Beegel is the author or editor of four books (on Hemingway’s craft and his short fiction, as well as on Steinbeck and the environment and Nantucket’s literary tradition)–and has published more than 55 articles on aspects of American literature and history. James B. Steele is a contributing editor for Vanity Fair and one of the nation’s most honored and widely acclaimed investigative journalists. He and his reporting colleague, Donald L. Barlett, have been called “almost certainly the best team in the history of investigative journalism” by the American Journalism Review. Recipients of virtually every major national journalism award including two Pulitzer Prizes and two National Magazine Awards, Barlett and Steele have worked together for four decades, first at The Philadelphia Inquirer, then at Time magazine and now at Vanity Fair. Steele is a coauthor with Barlett of seven books, including Howard Hughes: His Life and Madness, which has been continuously in print since published in 1979. Of the Hughes biography, The New York Times Sunday Book Review called it “the first fully documented cradle-to-grave account of a unique American life.”ealthier, more fulfilling lives.